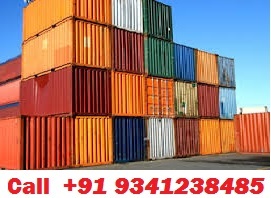 Professional International Movers - International Packers Movers Bangalore, International Shipping Companies Bangalore, Packers Movers InternationalProfessional Packers Movers Bangalore, International Moving Companies Bangalore, International Removal Companies Bangalore, International Moving Packing Services, International Packing Moving Services Bangalore, Professional Movers International Services, India to US relocation. Professional Packers Movers Bangalore, International Moving Companies Bangalore, International Removal Companies Bangalore, International Moving Packing Services, International Packing Moving Services Bangalore, Professional Movers International Services, India to US relocation. Professional International Movers has been India's leading removals and international relocation companies for over 24 years, and with 40,000 shipments a year to more than 300 countries and territories we are specialists in all aspects of international moving. ﻿At Professional International Movers we are renowned for our genuinely friendly, helpful personal service. And as proud and long-standing members of IMA (Indian Movers Association), AITA (All India Transporters Association) and KGTA (Karnataka Goods Transporters Association), we can be relied on completely for impartial advice and professional service throughout your International Relocations - whether by air freight, sea freight, road freight or any combination of the three. Professional International Movers also offers a whole host of additional international moving services, some of which are free, to smooth the rough edges of your move. These include the professional and careful export-standard packing of your possessions; excess baggage shipping; comprehensive Shipment Protection; customs clearance at departure and arrival; monitoring of your consignment throughout its journey and regular emails to keep you abreast of progress; location, collection and delivery of your items should you already have left the country; secure storage; and unpacking of your belongings at your destination address. At Professional International Movers we appreciate that any international removal can be a stressful time for the whole family, which is why we are committed to putting our clients' needs and belongings first. As a result of this, we are one of only a handful of companies recommended by leading visa, international consulates, foreign exchange and corporate companies. Individuals, families and corporate clients relocating to or from anywhere in the world can expect a dedicated service committed to ensuring that their International relocation is as smooth and simple as possible. We can handle any size of move and any reasonable time frame you might require us to work to. Moreover, ours is the most comprehensive service available, with regular containers to and from Australia, New Zealand, South Africa, USA, Canada, South East Asia, South and Central America, Europe and many other locations. We serve over 25,000 destinations worldwide. For an International Relocation Quote to any destination please complete our Online Removals Quote Request form or call us on +91 93412 38485.